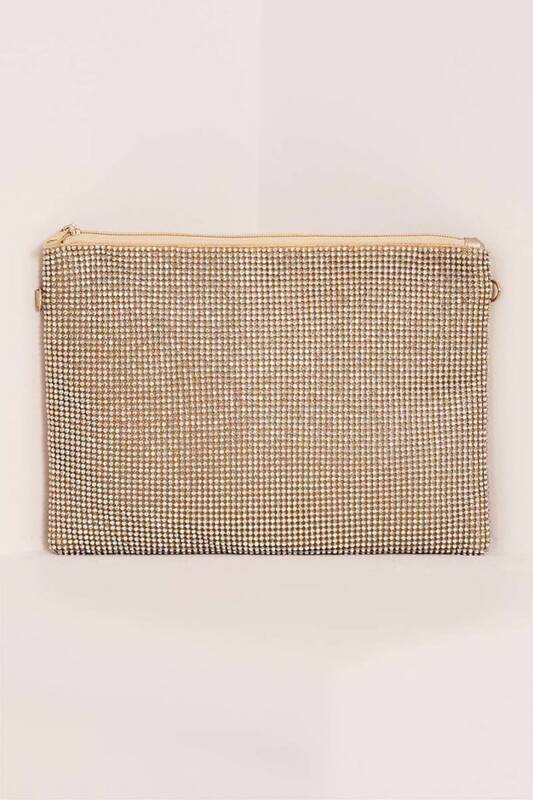 Opt for a cool-classic look with this beaut clutch bag. 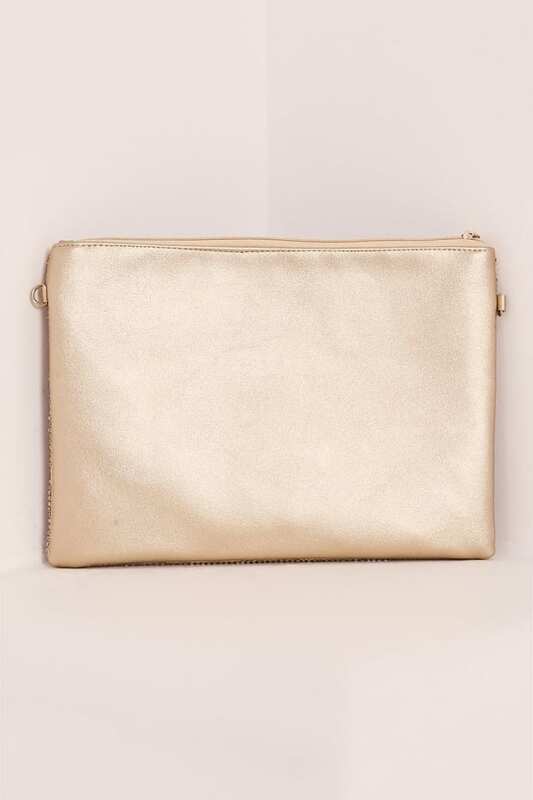 Gold is a must have this season so you defo won't go out of style with this sass clutch bag. 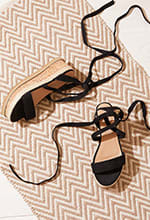 Featuring all over gold diamante detailing and thin chain strap, its the perfect new season piece.